Finally a new food concept has opened in Beirut an idea that involves self service and Asian food. 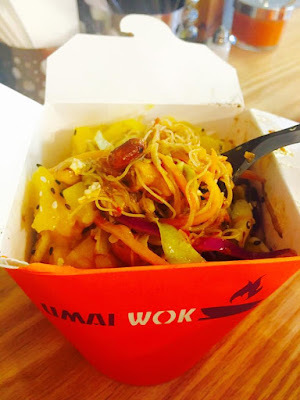 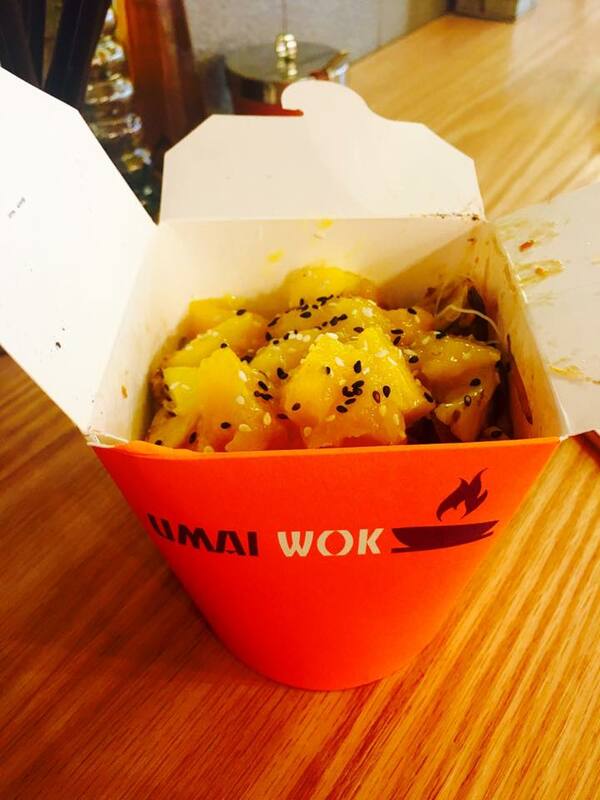 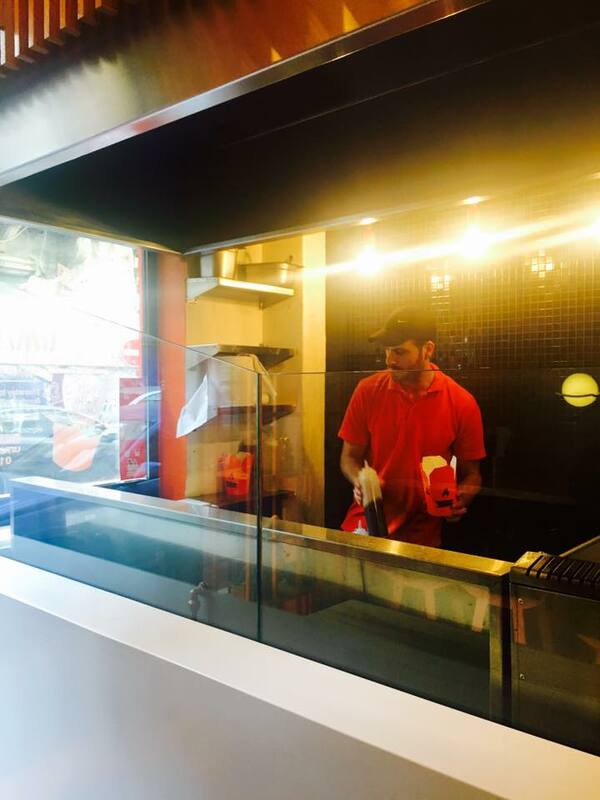 Umai Wok is a quick service restaurant that offers wok stir fried meals in orange boxes. You are the chef of your meal in which you get to combine delicious ingredients that are lively prepared in front of you. 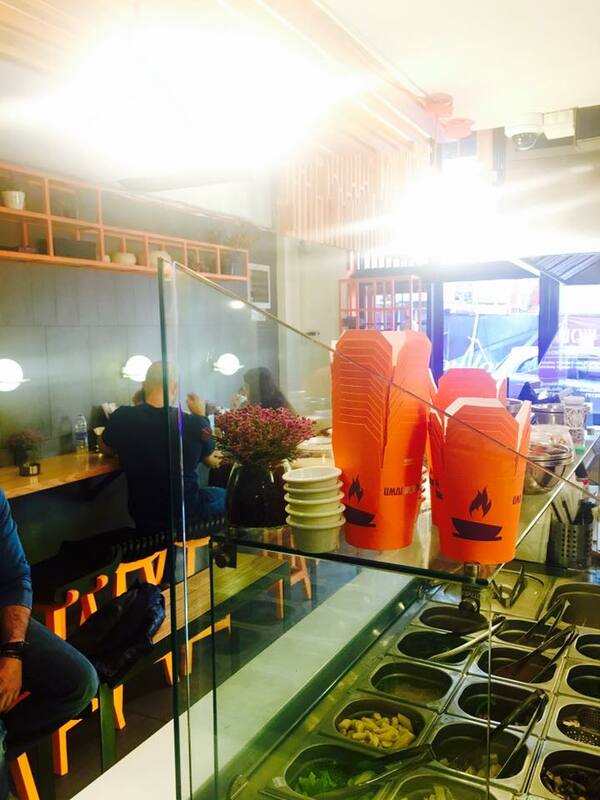 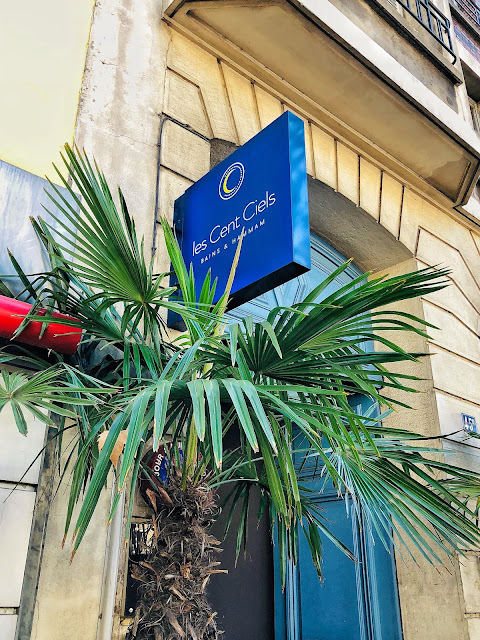 The newly opened food joint is in Mar Mikhael just next to Smoking Bun and is perfect for a quick meal, take away or delivery. 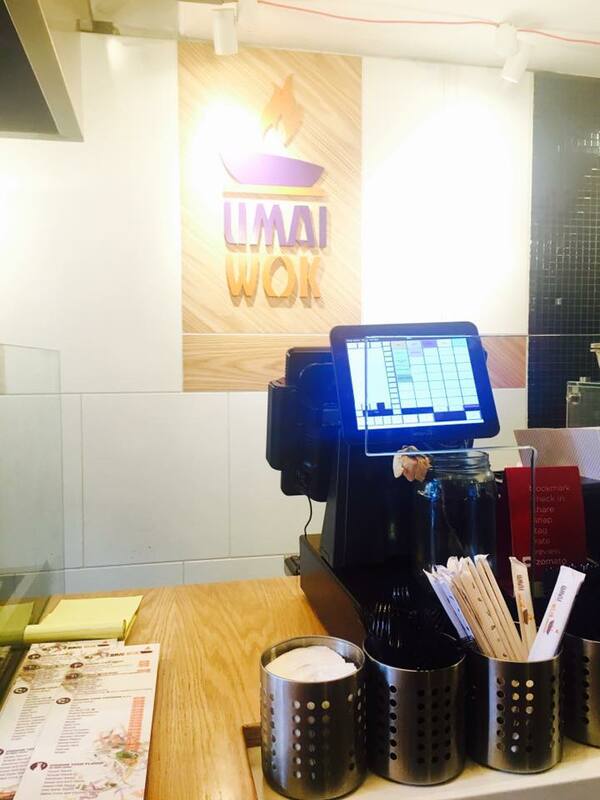 Umai Wok concept is very easy and thanks to it you can prepare unlimited types of recipes. 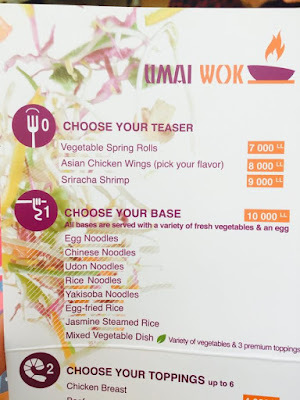 First you choose your base between 4 kinds of noodles, egg fried rice or jasmine steamed rice or you can go completely veggie with the mixed vegetables base. 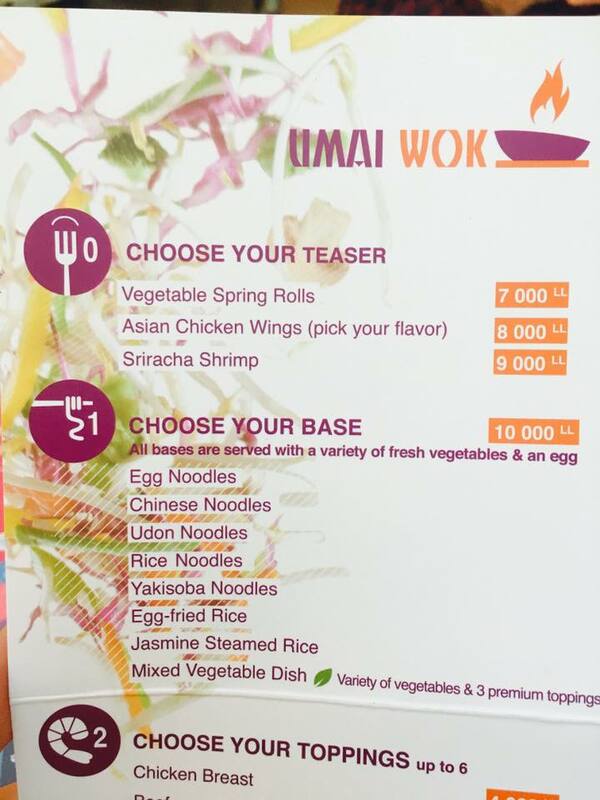 The noodles and rice are served with a variety of fresh vegetables and an egg. Then you choose your toppings (maximum 6). 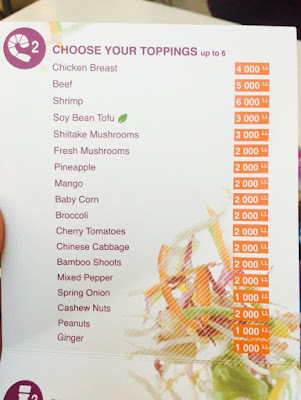 You can have shrimps, chicken, beed, vegetables and fruits (including mango), cashew nuts, peanuts or ginger. 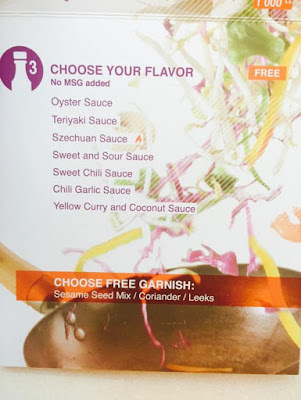 Finally you choose your flavor. You have a variety of 7 different sauces between sweet, chili, curry and many more. 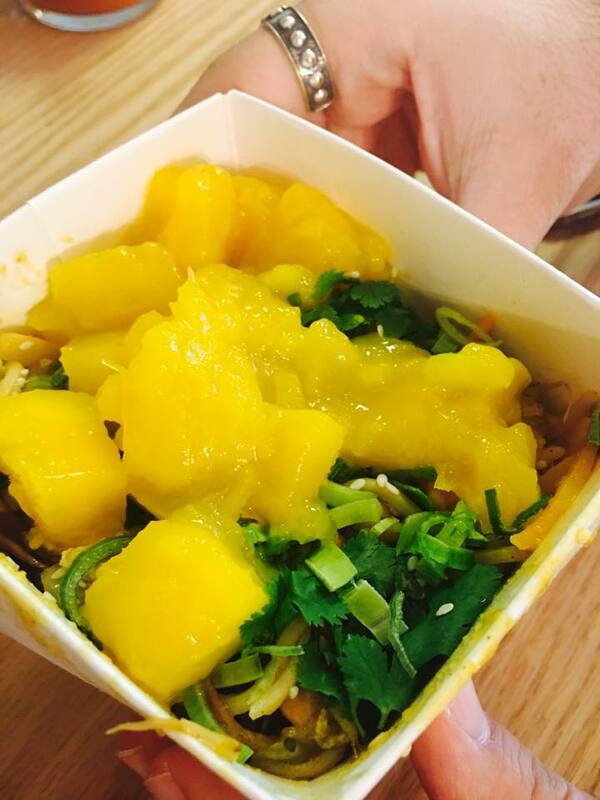 We avoided meat since it's lent season so we went for nuts, mango, ginger, pineapple and mushrooms. We had one with rice noodles and another with Chinese noodles. With the rice noodles we went for the Szechuan sauce which was too spicy and with the Chinese noodles we had 2 sauces combined; chili garlic sauce and yellow curry & coconut sauce. 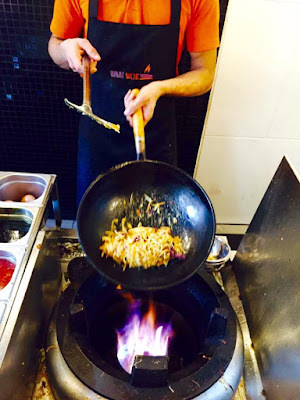 We loved them both as one was too spicy and the other was an explosion of flavors. The vegetables used are extremely fresh and the mixtures of the sauces, noodles and toppings was phenomenal. It is the kind of food we needed in Lebanon. We were impressed with Umai Wok that thought outside the box and brought a western idea that doesn't involve shisha but a quick delicious simple meal full of healthy stuff. 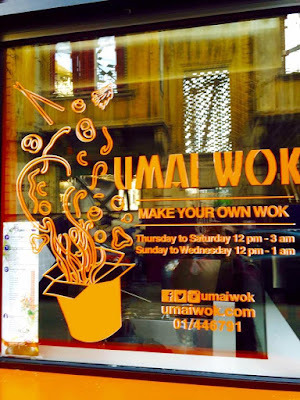 Average price: 15$ per person. Location: Next to Smoking Bun, Ibrahim Pacha Street, Mar Mikhael, Beirut, Lebanon.